Increasing velocity is the #1 goal of every software engineering team today. With the adoption of a new technology stack and organizational structure re-orgs, engineering managers are facing new critical challenges like never before. The increasing demand for rapid releases has resulted in a loss of visibility and control across the entire pipeline. With it, a high volume of valuable data is being generated from many different sources making it impossible for a human being to uncover and analyze. 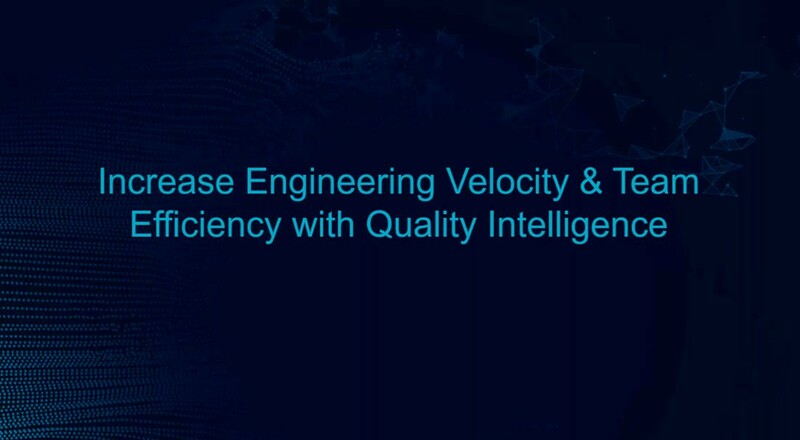 What is Quality Intelligence Technology? Jason has over 20 years experience in both software development and system management. He is currently DevOps & Customer Success manager at SeaLights. SeaLights is the first cloud-based code and test quality management platform. Prior to SeaLigfhts, Jason was a development team leader at Compwise for more than 10 years. Following which, he held a senior management position as a DevOps manager at Fundtech (acquired by D and H).